Sivakarthikeyan, the hard-working hero who migrated from the medium of television to cinema has been making the right kind of noise in tinsel town. He has come to be known as a bankable hero whose fan following traverses across all the strata. His name is just enough to pull the family audience to the theatre. He started his film career through Pandiraj’s Marina on the 3rd February 2012 and yesterday was the fifth anniversary of this much-loved hero in Kollywood. In this span, he was a part of films such as 3, Manam Kothi Paravai, Ethir Neechal, Varuthapadatha Vaalibar Sangam, Maan Karate, Kaakki Sattai, Rajini Murugan and Remo. He is right now working in Mohan Raja’s untitled film. Sivakarthikeyan took to his social media page to share his thoughts. He said, “Feb 3rd,2012 Watched Myslef in a big screen..It's been 5 amazing years with so much of experience..Never dreamt of this life you have given me..Big thanks to all my brothers,sisters,all my movie teams,distributors,theatre owners,all stars' fans,press,media,cinema audience for your huge support and love..Special thanks to Pandiraj sir for initiating this journey..) know its a long way to go...I'm still learning and i will learn always..will try my best to give entertaining movies..Thanks again and love you all –Sivakarthikeyan”. His journey is definitely something to be taken as an inspiration for all those aspirational, ambitious and determined people. Behindwoods wishes Sivakarthikeyan many more successful years! G.V.Prakash to romance Samantha and another leading heroine? Ajith’s meeting with J Jayalalitha triggered him to get a six pack? 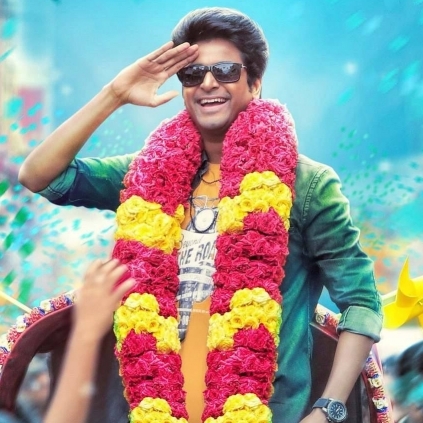 Sivakarthikeyan Thanks Media, Fans And Fans. How Did Rajini, Suriya, Santhanam And Sivakarthikeyan Cope With Demonetization? People looking for online information on Sivakarthikeyan, Sivakarthikeyans five yers will find this news story useful.